On their twentieth day of hunger strike, five Palestinian prisoners held in administrative detention without charge or trial in Israeli jails continued to demand their freedom and an end to the policy of administrative detention that currently imprisons 480 Palestinians. In addition, 70 more administrative detainees joined the boycott of detention hearings in the military courts as part of the growing protest against detention without charge or trial. Take Action to support the hunger strikers and call for freedom for administrative detainees! Palestinian lawyer Moataz Shkeirat reported that the prisoners are boycotting the detention tribunals, saying they exist only to give a facade of legitimacy to arbitrary and illegitimate administrative detention. Shadi Ma’ali, who along with Nidal Abu Aker, Ghassan Zawahreh, Badr al-Ruzza and Munir Abu Sharar, was one of the administrative detainees who launched the strike on 20 August, was moved yesterday from isolation cells into the areas where Israeli prisoners convicted in criminal courts are held in order to pressure him to end his strike. This practice is used by the Israeli prison administration in order to threaten Palestinian prisoners with physical violence and beating at the hands of the Israeli prisoners. Ma’ali refused to drink water at this point and refused to enter the section, and was then returned to his isolation cell. Nidal Abu Aker‘s administrative detention is scheduled to expire on 10 September. He was transfered to isolation in the Negev prison in the Naqab desert; he said that there are two possibilities: either he is released at the end of his detention period with no extension on 10 September, or the Israeli state will need to negotiate with the striking prisoners on their demands. 1. Cancellation of the policy and the law of administrative detention. 2. Creation of an international commission to examine the issue of the “secret files” on Palestinian detainees. 5. Rejection and overturn of the force feeding law. Protests continued throughout Palestine in support of the striking prisoners, with marches and rallies in Al-Khalil, Jenin, Bethlehem and Gaza City. The Popular Front for the Liberation of Palestine held a press conference in Gaza announcing upcoming events and actions and urging more support for the prisoners. 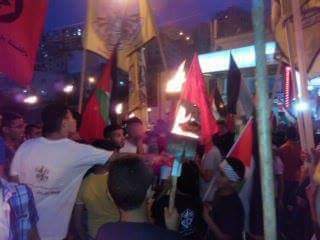 In Nablus, a march and rally wound from the home of Badr al-Ruzza, striking administrative detainee, through the city, pledging support and action for the striking prisoners. 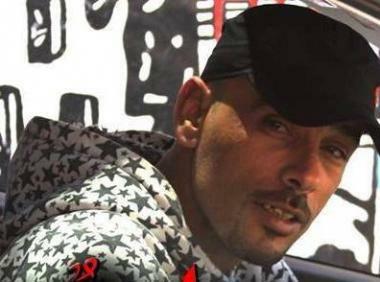 Thabet Nassar, 37, Palestinian prisoner held in administrative detention without charge or trial, said that he would join the strike if his administrative detention is renewed for the sixth time in a row. He has been held in administrative detention since 4 October 2013. From the village of Madama in Nablus, Nassar is married with three children. He has been denied family visits for four months because of his participation in the boycott of the detention hearings in the military courts, and participated in a hunger strike in 2014 for over 60 days against administrative detention. He is currently held in the Negev prison and has spent over 12 years in Israeli jails over 7 arrests; he has been held in administrative detention for eight years total over multiple arrests. There are currently nine prisoners on hunger strike; the five who launched the strike: Nidal Abu Aker, Ghassan Zawahreh, Shadi Ma’ali, Badr al-Ruzza and Munir Abu Sharar, have been on strike since 20 August. Bilal Daoud Saifi joined the strike on 30 August, followed by Suleiman Eskafi on 1 September and Amir Shammas on 2 September. 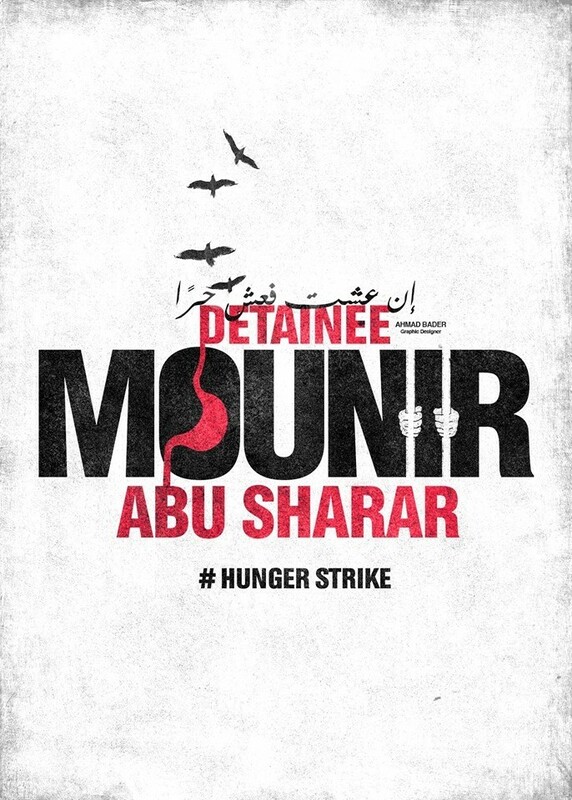 On 3 September, Noor Jaber, a prisoner who is not held in administrative detention, launched a hunger strike to protest his arbitrary transfer. 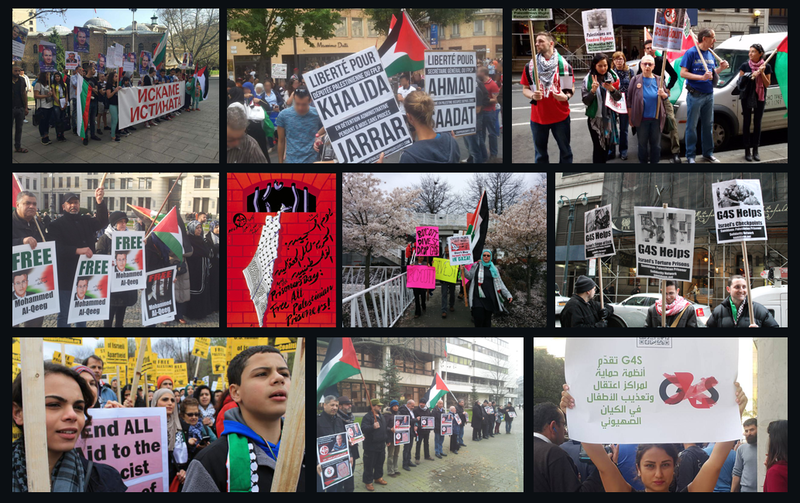 Take Action: Free Mahmoud Nasser!